The term Lyme Disease is polarising. Orthodox medical authorities in Australia refuse the term outright, despite the same genus of the pathognomonic organism being found, at least in echidnas. Testing is fraught with controversy since Borellia spp are notoriously hard to detect. Moreover, there appears to be a gang of pathogenic organisms, often termed 'stealth infections' that are high-jacking immunity and yielding chronically tired and inflamed individuals who are left with few places to turn. Join us today with Amina Eastham-Hillier who specialises in delving into the root causes of infection in tick-borne illnesses, and now educates other practitioners to uncover the reasons why certain patients just aren't responding to traditional treatments. [02:49] Definition of Lyme Disease in Australia? [12:01] Differential diagnosis: how are clients presenting? [14:48] How do we approach treatment? [20:16] Are their certain people that are more prone to infection? [24:00] Does stress plays a major role? [26:55] What are the other stealth pathogens? [43:34] What is the overall prognosis with stealth infections? Andrew: This is FX Medicine, I'm Andrew Whitfield-Cook. Joining us on the line today is Amina Eastham-Hillier. 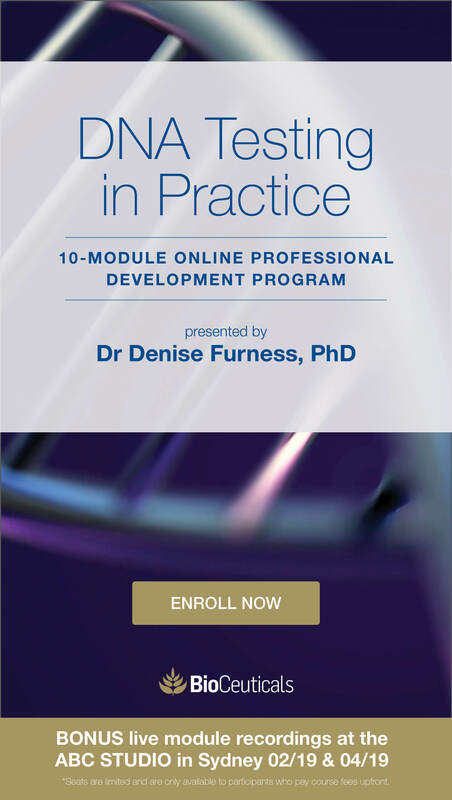 She's a naturopath, medical herbalist, and nutritionist, and owns a successful multi-modality integrated clinic, comprising 19 practitioners in Noosa, Queensland. With over 15 years of naturopathic clinical practice and 25 years of nutritional practice, she successfully treats chronic complex illnesses. Including tick-borne disease, mold illnesses, fatigue, depression, hormonal imbalances, skin problems, allergies, and, of course, digestive disorders. And she has also presented to medical doctors and naturopaths at a number of international conferences, medical documentaries, TV interviews, radio, seminars, webinars, podcasts, and workshops. 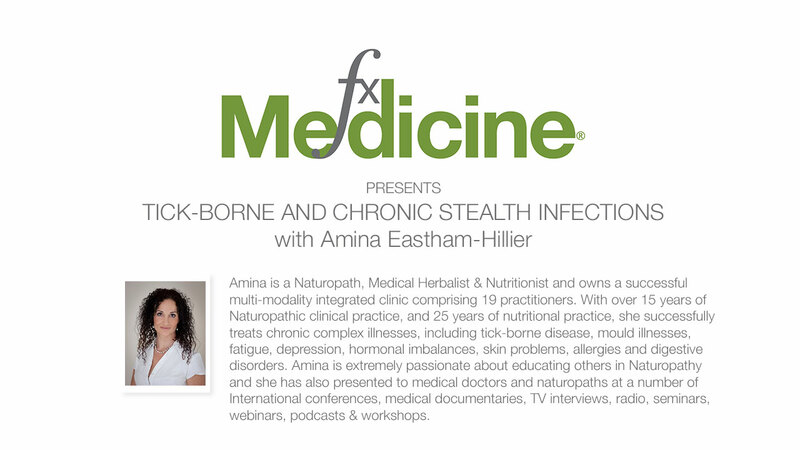 Amina is the author of the book Lyme Natural, encompassing naturopathic treatment for Lyme-like illness, co-infections, mould illness, and stealth infections. Welcome to FX Medicine, Amina. How are you? Amina: Thank you. Thank you. Yes, I'm very well. Thank you very much. Andrew: Now, we're going to be discussing Lyme-like illness and stealth infections. And it's very controversial, this subject. I was extremely skeptical at the outset, but, boy, this has changed the landscape over the...oh, I think it was three years, four years, since I first, sort of, encountered it. But first of all, I just would like to backtrack a little bit. What led you to naturopathy and nutrition? What was your heritage? Amina: I started actually working with health and beauty, a beauty therapy diploma many years ago and then I took it further and studied nutrition. So I worked with a lot of skin conditions and dermatology within nutrition and looking at the skin. And just, obviously, realised that there was a lot more to it than just external. So just looking at the biochemistry and really getting interested in that, I decided to take it further. I was going to study medicine. And then I found naturopathy courses in Australia whilst on holiday backpacking. So I decided to come over here and study. And that was, oh, about 22 years ago I came over. Andrew: We're going to be discussing various stealth infections, but inclusive in this is...the term that we use, I think, is incorrect, but Lyme disease. Now, Lyme is, obviously, a town outside Massachusetts in the U.S. But can you take us through what do we experience in Australia? And what, indeed, is the classic textbook description? And then what are we seeing nowadays? Amina: Okay. Well, the classic textbook description of Lyme disease is a person gets bitten by a vector, which is mainly a tick, and will be infected by a Borrelia-type bacteria. So the Borrelia bacteria is one of... there’s actually about 100 different types of Borrelia. The classic textbook would be Borrelia bacteria infecting the person, and the person will maybe, might get some flu-like symptoms in the first couple of weeks. Sometimes, the person may have an erythema-type rash, which is like a bullseye rash. It only actually happens in about 30% of cases. And so that's your classic, sort of, yes, there is a Borrelia present. In America, they often talk about Borrelia burgdorferi as the main type of Borrelia. In Europe, there's Borrelia afzelii and Borrelia garinii. Now, there are many co-infections of Lyme disease. So I'll talk about those later, some other bacterial infections such as Bartonella and Rickettsia and Ehrlichia. However, in Australia, unfortunately, the current medical model, I guess, fails to, sort of, recognise the fact that we have Lyme disease in Australia. So is it Lyme disease or is it a Lyme-like disease? We certainly have something going on over here. There's definitely a lot of people that are getting bitten by ticks. Over the years, there has definitely been some discoveries of certain types of Borrelia. They may not be the Borrelia burgdorferi, which is your classic textbook species. However, there have been documented cases. Even just a couple of years ago in Perth, they're actually doing studies on Borrelia from echidnas. And a lot of echidnas have been infected with, they think, maybe the miyamotoi-type Borrelia. However, medical people are, sort of, saying that those particular ticks wouldn't bite humans. So there you go. Andrew: Yeah, but to me, this refusal of acknowledgement initially that there was even Borrelia in Australia, and then once that was proven in echidnas, then the next step involved is obviously, to say that it can't affect humans. Something's affecting humans. Amina: Well, the problem is that testing Borrelia in the blood is a very difficult and challenging and controversial area. The reasons are, when a tick bites a person, the Borellia… so the tick sticks its hypostome, that’s it’s pointy-bit, into the person. And the Borrelia bacteria actually are harboring inside of the tick's belly, so when the tick is fully in feeding mode, that the Borrelia are actually transported from the tick into the human. And what happens is the Borrelia tend to not want to stay in the blood. It's, like, a lot of bacteria, as we know, thrive on iron. The Borrelia tend to move into the more collagenous joints, into the spinal fluid. It can actually cross the blood-brain barrier. So Borrelia, actually, is very often not detected in the blood either. And at the same time, the antibodies aren't produced as quick as normally, like, for example, a virus or other types of bacteria. So the detection is really challenging and really difficult, and there are a lot of false negatives with testing. So they'll test for the Borrelia, it will come up negative, and it's just because there's not enough of the Borrelia present and they just haven't picked it up. The Borrelia bacteria, as well, they actually...there's a spirochete form, which is like a spiral coil. And then it actually has a cell wall, but the bacteria have the ability to lose its cell wall. It's like taking its jacket off. And it actually becomes almost invisible to most of your antibiotics that, obviously, target the cell wall of the bacteria. And also, they often be able to undetected in blood results because of that. And another thing that the Borrelia can do is, sort of, form up together with another Borrelia and even on just their own and form a cyst. So they can actually form a cyst around themselves. So they'll often going into hiding in that way. And then there's also the biofilms, also a big type of bacteria that is quite prevalent in causing and creating biofilms. Not just with other Borrelia, but with other bacteria, even Candida and viruses. So they're pretty smart bacteria. They're very complex. They have a lot of... they're very virile. So when... Like, for example, golden staph has one or two pLEBs. And they are like, detecting, they're like, making the bacteria have a lot more DNA and a lot more genetic information available. Whereas the Borrelia have up to 23 of these pLEBs, so it makes them a lot more of a complex bacteria. Andrew: Now, you said pLEBs. There's another name that they're termed by, as well, isn't there? Amina: Yes, that’s… it's plasmid. They're often called plasmids. So this makes the bacteria so much more complex than the normal bacteria. So you know, it's their method of survival. Amina: You know, they're able to go undetected. And that's the problem with testing, is that there's not really enough accuracy. There are testing services available, and in Australia that, I believe, are as accurate as can possibly be. It's just that, unfortunately, the government won't accept them as… and give them enough credit to be an eligible laboratory. Andrew: Yeah. So if we can't detect the organism itself, in many cases, what about leftover signatures of infection? Can you take us through a little bit of the pathophysiology or the biochemistry that happens with Lyme-like disease? Amina: Sure. So, okay. So the Borrelia or some similar bacteria from the tick is an infection in the person, okay? So the person gets bitten by a tick or other vector. There could be some other vectors I can talk about later. And your normal immune response, the person would present the antigen-presenting cells as an immediate immune response. And that's where your B cells are triggered off and the antibodies normally, which then will further stimulate your naïve T cells, and then that's when your T regulation cells come in. And they're wanting to try and help calm down the inflammation. But what happens is, with this type of infection, your normal T1 helper cells, your T helper 1, your T helper 2, and your T helper 17 are often really increasing and majorly active. So, for example, your T helper one inflammatory cells are just going cause a lot of general inflammation. So you've got the rash. You've got the pain. You've got the redness of the area that's been infected initially. And then the T helper 2 response, you've got all the cytokines there. Your interleukin 4, 5. Often interleukin 10 is quite prominent in the Lyme Borrelia-type infections. And there's going to be a lot of allergy-type responses. So people become more sensitive to foods, to chemicals, to noise sound. And there's the T helper 17 cells and the whole cytokine response there, so your interleukin 17 and interleukin 22 that are going to cause a lot more chronic inflammation. So the person will end up with chronic Lyme symptoms, such as joint pain, chronic brain fog, anxiety, depression from inflammation in the brain, a lot of gut inflammation. And pretty much whatever the person is genetically susceptible to, that person may very well then start experiencing symptoms of autoimmune diseases that they, you know, are just genetically susceptible to. Andrew: Previously, we would have thought...you know, two decades, three decades ago, we would have thought about Candidiasis, chronic Candidiasis. We would also be considering things like fibromyalgia. How do you tease apart which it is? What's different with acute Borreliosis to other forms of disease? And indeed, what's different from the acute form to the chronic form? Amina: Okay. So your acute form is, for example, a person gets bitten by a tick. They may or may not experience the erythema migrans-type, the bull's eye's rash, which happens in 30% of cases. They may get an acute infection. They may get a flu-like symptom for a couple of weeks. They may have really bad headaches, neck pain, feverish, and they may just be feeling really, really exhausted. And they may just feel it like it's a really, really bad flu. And then what happens is that may subside slightly, but the person never fully gets better. And then we go into, in a few months, it starts getting more of an inflammatory response. So we call it disseminated Lyme. Where the symptoms will be, you know, a lot more fatigue, a lot more inflammation. So generally, you'll be having more joint pain, more rashes, more brain fog. And usually, that's around, sort of, six months. And then anywhere from six months to years is where you've got your more chronic Lyme symptoms, which basically, these are the types of patients that I see and that many of the practitioners will actually see in their everyday clinic, and these are the patients that are chronic, complex. They have chronic fatigue. They have focused memory, concentration problems. Brain fog is often described. They often maybe have headaches, neck pain, depression, anxiety. And that can be a chemical depression, but also because, you know, a lot of, I guess, misdiagnosis and not being heard. And then joint pain, muscle pain, shooting pains, nerve twitches, tremors. Sometimes people even get seizures. And there's often gut dysbiosis. Often, people end up having more parasite infections, whether they had it before or whether the parasites are just being opportunistic and, sort of, you know, expanded because of the inflammatory site at the person's gut. So it ends up a full-on chronic condition where every single system of the body is affected, and the big culprit or the trigger is inflammation. 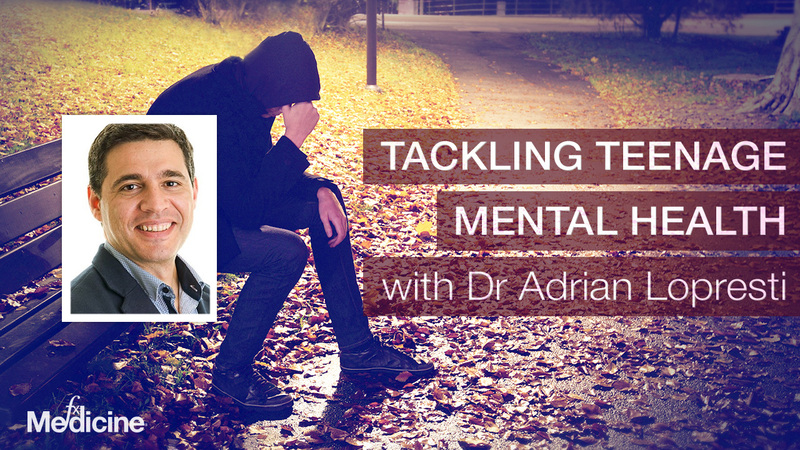 Andrew: I'm wondering here if the best approach to treatment would be, you know, do you go in guns blazing with heavy-handed treatments or do you actually start with really gentle, nourishing, sort of things that can improve resilience? How do you approach the treatment phase of this? Amina: Okay. Well, with chronic Lyme, it's very different to acute Lyme. It's almost like treating two completely different diseases. So with acute Lyme, I would go in more stronger. And if someone has just been bitten by a tick or another vector, like a spider or mosquitoes, where they have the types of symptoms, I would definitely go in with the higher doses of your immune support herbs. You know, your vitamin C’s and any, sort of, immune-supporting nutrients. And I even, depending on the case, may even suggest the person might go and get some antibiotics and work with...there are a lot of doctors I work with, but work with a doctor with the herbal medicine, the nutrients, and the antibiotics. That's for acute Lyme, so acute Borreliosis or some, sort of, acute tick-borne infection. When it comes to chronic, that’s certainly… I wouldn't go straight in with high-dose antibacterial herbs or anything too stimulating. With chronic, I do the absolute opposite. I do actually start treating very gently. First of all, I'll just use anti-inflammatory support only and nothing stimulating at all. And the reason why is purely out of experience, I've gone in too heavy, too hard, and people end up having Herxheimer reaction, which is your natural die-off reaction to any bacteria or Candida. So when you start treating any sort of pathogen, if the treatment's a bit too strong and the person's not ready, as in they have too much inflammation going on or too much toxicity, they're not detoxing well, often, there's a lot of genetic, you know, MTHFR and all those sorts of things going on. So if the person isn't ready, enough liver support, enough adrenal support and enough immune support, then the person's more likely going to experience nasty side effects of the Herxheimer reaction. So therefore, I definitely go in very gently, so the anti-inflammatory support first. And I might use herbs such as chamomile, calendula, marshmallow, celery, alkaline things, so very gentle. And then I would slowly build up the immune system with immune herbs. And I actually have had many patients that are so sensitive that they can't even handle any type of herb, even the most gentle herb like chamomile. So I've actually brought in a bit of a dropper dose technique that I use. And it's brilliant. I love it. It works really well. Where I'll just use dropper doses just for those first couple of weeks, and you build the patient up. And it actually massively desensitises the patient so they're not as reactive, so they're able to take the herbs. So that works really well with the sensitive patients. Andrew: Yeah, I'm with you there with regards to herbs. We were, sort of, entrenched in our training with regards to the appropriate dosage that would gain effect. But I note that one of the very few registered herbal medicines is drop dosages. And that's for use in IBS. And, you know, I just think it's a big lesson we need to learn, that we don't always require these heavy-handed approaches. I've learned, like you, that it's not always appropriate. Amina: Yeah, that's right. And it's really important because if you had said to me, you know, 15 years ago, "Oh, someone's going to react to five drops of chamomile," I would have just thought, "That's ridiculous," but, you know, I've seen it. You know, so I know how sensitive patients are. Some patients can't even take the alkaline herbs at all. So yeah, it's... But they are able to, eventually. We just increase the dose a little bit by bit, and then introduce another herb. 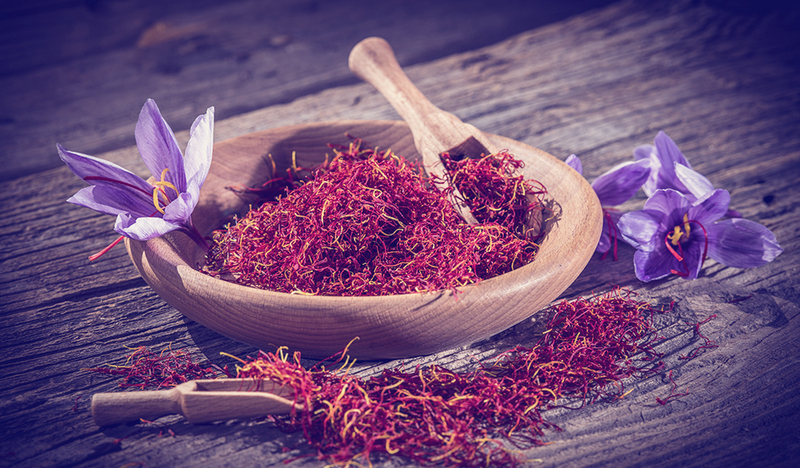 And then before you know it, within a few weeks, they have the basic anti-inflammatory herbs in a bottle, there's their formula, and then we can introduce other things. And the same with nutrients. Even with vitamin C and, you know, gentle magnesium. If I start very, very low and then increase, and keep the protocol as simple as possible and before you know it, we are able to go in with the higher dose. And when the patient's ready, when their inflammation has gone down, initially, it's all about bringing the inflammation down. When their immune system's supported, when their nervous system's not as reactive, and their diet is also... you work on the diet, as well, of course. Then, when the time's right, you're able to come in with a lot stronger antibiotic herbs, antibacterial, you know, your antiviral, your anti-candida, and then you’ve actually got a really good chance of actually busting the system, the biofilms. Safely and effectively, because the body’s already ready, it’s actually prepared for it. Andrew: Are there any type of person, obviously other than those within a tick infested area, any type of person that’s going to be more prone to being affected by Borreliosis? Amina: Absolutely. Basically, many people who… okay, so, I, in my book, I’ve got this chronic cycle of all the different things that you need to look at when you’re looking at any sort of chronic stealth infection, especially Lyme. And the first thing is, you know, people are going to have genetics that they are… make them more susceptible to be prone to be affected by infections. So, for example, I mentioned the MTHFR, your COMT, your CBS-type genes, your CYP1A2, you know, your cytokine-type genes. So patients already, that have a problem with detoxing, they’re already going to be toxic, so they’re probably going to have a lot more heavy metals, they’re probably going to have a lot more deficiencies of minerals. So often they’re deficient in zinc, and magnesium, and iron and molybdenum, and selenium and all the important minerals that are necessary for detox and for immune support. Often, their thyroid’s slightly underactive, or the opposite. Often the person already has gut dysbiosis. 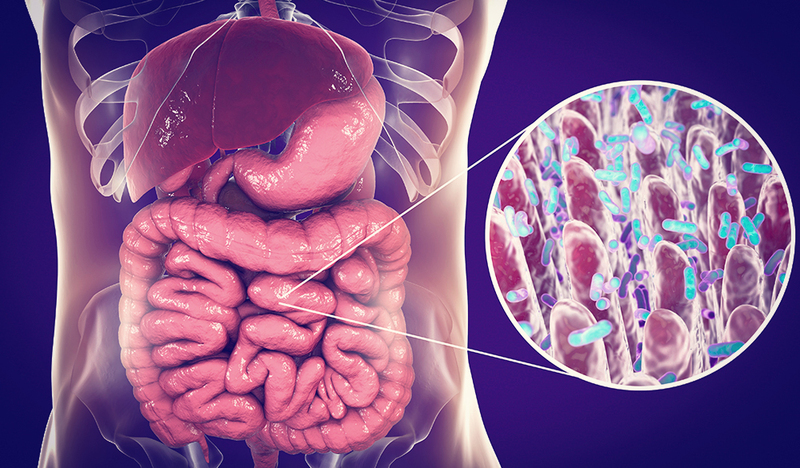 And I know we all know lots about gut dysbiosis, but when I see my patients, I always do a comprehensive stool analysis and every single patient that I see, has some sort of gut dysbiosis. So they’re lacking the essential beneficial bacteria, Bifidobacterium, their lactobaccilus. Often they have very high levels of E Coli, or very low levels of E Coli. High streptococcus. I constantly see high levels of klebsiella pneumonia and Acinetobacter. Enterobacter, the proteous mirabilis type-bacteria, so they’re often in quite dysbiotic amounts. Often there’s overriding yeast that’s too prevalent. Often the patient has very low secretory IgA. High IgA, secretory IgA if it’s an initial infection, or they’ve got parasites or allergies. But eventually it’ll end up very low. And there are often inflammatory markers in the gut. They’re often more acidic. And I could just talk about the gut for years on end, anyway. But I’ll move on, say for example, adrenals, are often depleted. So, these types of patients are definitely more prone to infection. Now, whether they were in that state prior to becoming infected with Lyme-like Borelliosis, or whether they got the Borellia infection, maybe struggled with it for years, didn’t realise they had Borellia in their system and then things just got… you know, that would be a piece of the jigsaw puzzle. So, it’s never just one thing. It’s never just a tick bite. There’s always lots of other things. However, saying that, there are patients that have come to me that have said that they were perfectly healthy. They were, you know, maybe, running companies and doing all sorts of busy things and marathon running, and they were very fit and healthy, but then they got bitten by a tick, or they went for that bush walk and got sick afterwards. And they never were the same since. So it can actually knock people down quite fast. Andrew: Yeah. This was something that… it interests me. And what tweaked my interest was when you started to talk about things like the thyroid involvement, things like that. And ubiquitously, one of the issues with thyroid dysfunction is stress. Overwhelming stress. That the stress has now overwhelmed the resilience of the patient. So, do you find that modulating stress and teaching resilience, do you find that that alone, or importantly, can have a sort of, major impact on their illness? Or do you find that it really has to be this immune support? Amina: No, no, definitely. It has to be all of these systems. Definitely the immune support. But 100% the bacterial… any sort of dysbiosis of bacteria is going to be affected by stress. And then the stress will affect the bacteria… it’s creating a perfect environment. Amina: But, absolutely most of my patients when I look back and I do their jigsaw puzzle of symptoms, there’s always stress factors. So maybe they had a stressful childhood. Or they may have… when I talk about the person who was perfectly healthy however, they were running a couple of companies, or doing marathon running, I mean, that in itself, is stress. Amina: So without realising it, people are stressing their bodies out. And it creates an environment which is perfect for the bacteria. These types of stealth bacteria that are from tick borne infections… causing tick borne infections are looking for the perfect environment. And that’s a body that’s stressed and lots of inflammation, lots of toxicity and you know, often, nutrient deficient. Like, they just seem to thrive in those conditions. Because the immune system can’t keep up. 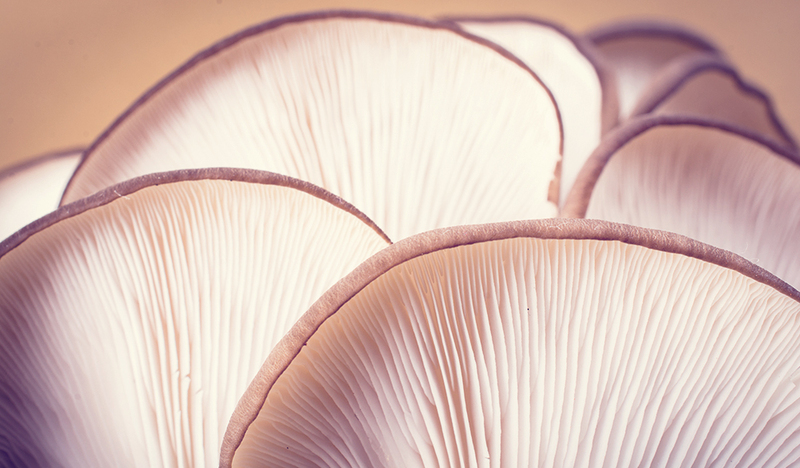 The immune system can’t… and they don’t have the minerals and the resources to support them. Amina: Yeah! That’s right. And I see it in so many patients. And when, often patient might have, you know, chronic symptoms… like, not everyone who comes to see me thinks they have Lyme. But they get referred by a doctor or their naturopath because they have these chronic symptoms, they want to know what’s going on. And often, you know, underlying bladder infections. And when we look at the stool analysis there’s all… like, things like the Klebsiella are really quite, you know, in the toxic amounts. In that red corner there. So, there’s definitely a lot of other bacteria going on. Andrew: And what about other stealth pathogens? What about things like viruses? And I guess I also need to ask here, when you're looking at these chronic stealth-type complex illnesses, is Borrelia always one of the culprits or do you have instances where it's other things, but not Borrelia? Amina: Yeah, it's not always the culprit, no. Sometimes people come and they think they might have Lyme disease or Borrelia cysts, we should say. And I've not actually saw...the symptoms that they're presenting aren't really giving me the picture that they have Borreliosis. So there certainly are different types of symptom pictures within the different types of co-infections. Yeah, I don't think that they all have Borrelia. I think a lot of them do. I think that Borrelia is actually a lot more prominent than we realise. I think that there probably are many, many humans walking around that have Borrelia in their system and wouldn't know it. I've certainly had whole families tested. And, for example, the wife might have the full-on symptoms of Lyme-like disease, and yet her result is negative. And then we test the husband and, you know, three of the children, and two children have Borrelia and the father has it, but the father's not presenting any symptoms. And I have had that a number of times. I do actually believe that many people will be actually...will have the Borrelia bacteria present in their system. It doesn't necessarily have to go into full-on Lyme-like disease or Borreliosis. Andrew: So it's an opportunistic type infection. Amina: Yeah, I think it can be. And I think because it can be passed on via utero. We know that. And some clinicians, including myself, can, sort of, think... well, I do think that it can be passed on sexually as well. Andrew: What about working hand-in-hand with Medicos? Do you find that that's always the best approach or do you find that there are some patients who require medical intervention with the antibiotics and more severe symptoms, for instance, neurological impairment? Like, I’d certainly be worried if someone had headaches and they couldn't bend their head forward and things like that. I'd be really worried. Do you find that there are other people that have this more, you know, chronic-type, smoldering disease that are more appropriate for naturopathic intervention alone? Amina: I think you have to really just assess each case individually. I'm very happy to work with doctors. I do work with a lot of doctors. I often encourage the patients, if they don't see a doctor, to actually find a doctor just to get, you know, a general check-up. So like, for example, some patients may experience palpitation, tachycardia, and this very common in Borrelia-type infections… Babesia, which is a co-infection of Borrelia-type infections. So I think in that case, you know, you don't mess around when someone's getting heart and chest pain and things like that. So I definitely will send them to a doctor. Go and get an ECG. Get your… I check their blood pressure anyway. But maybe do even a 24-hour ECG just to also settle the mind of the patient so they're not so stressed. And then once they've had, you know, the ECG stress test and had all the basic… obviously, checked the homocysteine, those sorts of things, then you're safe to say, you know, "You're probably okay. So we can work on those palpitations with the right anxiety herbs and nutrients in that way, and magnesium." And for sure, there is other things that need to be checked out, like if someone has a full-on, I don't know, like, say, vaginal problems or something like that where, you know, there's other things they might need to go and get other STD tests, they might need to go and get Pap smears. Like, there's certain things that naturopaths just aren't going to do. And there's certain things where there's inflammation and swelling that people may need an MRI or they may need a scan or, you know, men might need their PSA checked. So there's definitely a place for working with doctors, and I do encourage patients to just get the general test. I like to see my patients' general chemistry tests, so the electrolytes, liver enzyme, full data cholesterol, the full blood count, iron studies, and the thyroid. So if we can work with doctors and, you know, I communicate right to the doctor and let them know what we're doing, it's really good to get those tests. Otherwise, as naturopaths, we can test you all of those things, but then, it does really add up. So I just get what I think is the most important basic things. But even looking at the...you mentioned the viruses before, many, many patients have underlying viruses. So I'd say probably something like 95% of my chronic patients have Epstein-Barr virus or the antibodies. Lots of other different, like herpes, herpes 6, just general cytomegalovirus comes up a lot. Ross River Fever comes up a lot. Barmah forest, dengue fever. So there are definitely just as many viruses going on as the bacterial side of things. So sometimes it's good to go and send the patient to the doctor. And they can actually go and just check for some of those antibodies and just see, so you've got an idea of what you're dealing with. Andrew: Yeah. One of the things I think that’s confounding me, though, is you mentioned, like, for instance, if you tested a whole family, some of them are symptomatic, some of them are asymptomatic. But they still have Borrelia. So could it be, therefore, that you've got to choose who you treat? For instance, Klebsiella is a good point. Klebsiella is a commensal, but is you aspirate it, if it takes hold or if it gains entry where it can turn, or be pathogenic, then you've got something that you need to treat. Otherwise, do you leave it alone? Amina: I'm a good old-fashioned naturopath in one way. Although I'd like to look at all the latest technology, I'm always looking at the latest science studies and so forth. However, it comes down to, with naturopaths or natural practitioners, so, treating the symptoms. I mean, it's treating the symptoms. How is the person feeling? Like, if the person... I had a very random person yesterday that I saw, and it was a breath of fresh air because he actually didn't have any pain. There was no fatigue. His gut was moving regularly every day, a couple of times. Formed stools. Not really any problems. He had a rash that is gone now. So, you know, we put it down to diet, and it was like everything was good. So it was, like, "Well, okay, we could probably do with doing a detox for sure," but other than that, there wasn't really too much he could... He wasn't really needing to have any more functional medicine testing. And he was just probably the healthiest person I'd seen in months. Now, so you're treating the symptoms. But obviously, if someone is in pain, you've got to work on the inflammation and look at any trigger that's going to be possibly causing that. So looking at things, like his stool analysis was very helpful. Your hair toxicity, your mineral levels, and even looking at how well the liver's functioning. You know, your glutathione, your phase two detox testing, your leaky gut. Lactulose tests can be helpful, SIBO. Depending what the person's presenting is, obviously, what, sort of, functional medicine testing. If someone's very chronically in a lot of pain and it's a bit of a mystery, we'll often go down the organic acid testing part. And that can give a lot of information about the inflammatory cycle, bacterial growth, and the mitochondrial… the Krebs cycle, chemicals that may be out of balance. So it's looking at the patient's symptoms and working on what's actually presenting rather than trying... The thing is you may never know all the different stealth infections. There's absolutely hundreds of them, you know. There's so many. Just with Lyme itself, if someone gets bitten by a tick, you know, you've got Bartonella, which causes a lot of pain, a lot of inflammation, a lot of neurological damage, a lot of joint pain. And then you've got Babesia, which is a protozoa that's more like malaria. But that causes a lot of headaches and a lot of fevers. So when I'm looking at treating patients, I give them a very comprehensive symptom diary, and they have to fill it out every week. And I'm looking at the cycles of the symptoms. Because, often, Borrelia-type symptoms will flare up once a month, and could be coinciding with a woman's menstrual cycle. So it's often misunderstood as, you know, ‘menstrual hormonal stuff’. Babesia tends to flare up every five to eight days. That's a lot more severe. Bartonella tends to flare up every two weeks. Blastocystis parasite tends to flare up every 10 days. And often if they've got a few co-infections, it can be very tricky and things overlap. But you can actually... Patients will know what's going on, and it's very interesting. They love doing the symptom diary that I've put together because it's like a chart, and it's got all of the symptoms of two sides of A4. And then you, sort of, look at how often you're getting the symptom and how severe it is. So looking at those cycles are really important. Andrew: And are these charts in your book, that Lyme Natural? Amina: They are actually on my website, which is www.amina.com.au. Andrew: Great. We'll put that up on FX Medicine, so that people can access them. What about the connection with mould? This is something that's confounding me. And, again, I was extremely skeptical at the beginning, but talking with these great minds like Nicole Bijlsma, it's far worse than what we thought initially. But what's the connection here? Amina: Well, many people who have Lyme-like infections often are more susceptible to mould illness. So it's the mycotoxins of mould. It's the toxins and the dead bits of the mould that, sort of, get floating in the air that actually can really affect people. And they get into the bloodstream and then it's very hard for the body to eliminate mycotoxins if the detox pathways are challenged. So there has actually been a lot of research into patients having very similar genetic patterns, so the HLA DR/DQ genotypes. There's about 54 of these different, sort of, haplotypes. But the HLA genotypes are depending on what the person has. People are either more susceptible to Coeliac disease, Lyme Borreliosis-type infections, or mould illness. But they have very similar...they can have a few similar numbers when you're testing the genes that actually come up. So it shows that they're more... that person could be very prone to getting infected by Lyme-like or Borreliosis-type infections, as well as very prone to mould illness. And as far as the mould illness genes go, I think it's 24% of people have the HLA genotypes for mould. So it's like pretty much one in four in a household. So you've got three people in the house that aren't affected by the mould at all, and that one person is going to be the person that gets the headaches and the brain fog. And inflammation is one of the worst, sort of, triggers of mould illness and the mycotoxins. Andrew: Is this a measurable difference, a measurable type of inflammation? Do you have to be measuring like CRP, ESR? Or do you look at the interleukins that go around, like, IL-6, for instance? Amina: You can look at the interleukins. It depends. It really depends because there's many, many tests. So you can certainly do the cytokine testing, like, Nutripath will do that. Amina: And often the interleukins will show up, you know, if there's a lot of inflammation in that way. You can do.... The C-reactive protein and the ESR, often they don't tend to come up, unless there's acute infections or something. So often, they can just be normal, and the person still has got long-term systemic inflammation. With the Lyme testing, you can actually do the mycotoxin type testing. So you can actually see what mycotoxins are present in the system. And often, they'll come up right up...like aflatoxins will come up and be quite prominent in people that have been exposed to Aspergillus-type mould. And then you can also do certain inflammatory markers that... Dr. Shoemaker in America has done a lot of work with mould illness and has found a number of inflammatory markers that aren't randomly normally tested, but actually come up in patients that are more prone to the inflammation. So things like your TNF-alpha and your vascular endothelial growth factors. So they’re different… they’re inflammatory markers that wouldn't normally be tested. Your C4A and your C3A. So they're, like, part of your complement immune system. And I have done a few of these tests before. I tend to not go directly to them. Because, I don't know, I've not really seen many patterns myself, but they are randomly tested with some of the mould, sort of, doctors in America. Andrew: Yeah. Now, you're doing some talks, both for ATMS and, I understand, over in the U.K. Is that correct? Andrew: Tell us a little bit about these. What are you talking about? Amina: So for ATMS, I'm going to be doing a webinar on mould and mould illness and looking at these mycotoxins and how we can test for mycotoxins and mould in the house. And treating it from a naturopath perspective, or from a natural practitioner perspective. And then I'm going to be doing a two-part Lyme and Lyme-like and similar stealth, sort of, types of tick-borne infections webinar after that. And in England, I'll be talking about similar topics at the next... It's the 154th British National Institute of Medicinal Herbs Conference in Chester, in October. Amina: Yeah. And then I'm flying to Ireland. I'm going to speak.. to do a workshop for the Irish Herbalists Association. So yeah, I'm very much looking forward to that because I've never been to Ireland either. So that's really good. Andrew: Do you need a luggage handler? Amina: Yes. A few people have said that. I’m actually doing a talk in Iceland, as well, for a Lyme group in Iceland and also in Sweden. So, yeah. Andrew: Wow. Now, what about further resources and education? I have a little sneaking suspicion that you have developed or are developing some education resources yourself. Is that right? Amina: Absolutely. Well, I've got a master class that I'm putting together that I'm very excited about, and I'm going to be doing next year. And I'll probably do a few locations in Australia. And I'm also writing my second book, which is Chronic Stealth-Infections, which is a lot more... It's like my first book, Lyme Natural, but it's a lot more going into the viruses, the nutrigenomics, more of the mitochondrial health and the mitochondrial therapies that's needed with these chronic-type patients. And looking more into the sort of, chemical sensitivities that these patients can suffer with. Things like histamines and your mast cells activation, and patients that become very sensitive to oxalates and those, sort of, foods. So yeah. So my book's...yeah, it's just going into more detail of things that often get missed when patients are getting treated. Andrew: Of course, the proof of any treatment is in the pudding. And that's the resolution of the disease or, at least, the symptoms. How do you find it? Andrew: I mean, this is confounding, this, sort of, issue. So do you find that realistically, we're dealing with something, kind of, like chronic fatigue where they just have to manage it and soldier on at a significantly lower ebb? Or do you get a full resolution or very near to? Amina: I feel like you very get good results. Not everyone, because there's always ones that, sort of, I guess, fall off the wagon with treatment. Amina: But generally, my mission is to get my patients where they're feeling so much better, to feel as well as they possibly can do. So they may never be able to go back and do those marathons that they used to do. Or run those two companies that they did and, you know, do that double degree. However, my mission is to get patients to reduce their inflammation so that they're not in pain anymore, that they can actually focus. They can walk in their supermarket and remember what they need to buy or they can actually get up and leave the house, in some cases. Amina: And it's a slow... Like, usually, say, chronic symptoms may take up to two years, but I like to get patients in what I call remission. So I don't know if we can ever cure people, and I don't like that word at all. But when you've got stealth infections, it really is a case of getting the body in optimal health that it's able to deal with pathogens. Because we’ve got, naturally, we've got so many pathogens naturally in our system. Amina: You're not going to be completely antibacterial. You know, you can't just get rid of everything, of course. But to have people in remission is so that they're feeling so much better, so they're able to go back and do what they want to do and they're able to function and have a normal life. And the thing is, and I have had many, many patients that are very, you know, happy, they're actually able to do their normal thing. Or continue on with their life, you know, without getting worse. And the thing is, they need to pace themselves, though. They will always need to pace themselves. So the adrenal support needs to be ongoing. The herbal medicine support, I do highly recommend. And I recommend they still continue to take, you know, your basic multivitamin and your vitamin C and your liver support. And I always recommend that people have some, sort of, anti-pathogen, like, you know, garlic or, you know, Andorgraphis or something. But it needs to be sizable. It needs to be with a bit of a program. So that you're able to always maintain that really healthy gut, for example. Andrew: Yeah. I'm heartened by the way that you treat the person, Amina, and not the pathology report. And obviously, this is going to be a complex resolution. A long-term resolution that, you know, you're going to have to really concentrate on nourishing and, as you said, pacing, to hopefully, in the end, improve their resilience. Thank you so much for taking us through this. Andrew: This is such a complex issue. And, you know, we certainly are not at the end of the days of the controversy. We are certainly at the beginning, and there's a lot more that needs to be cleared up. Andrew: Thank you so much for joining us on FX Medicine today. Amina: Thank you. Thank you very much.